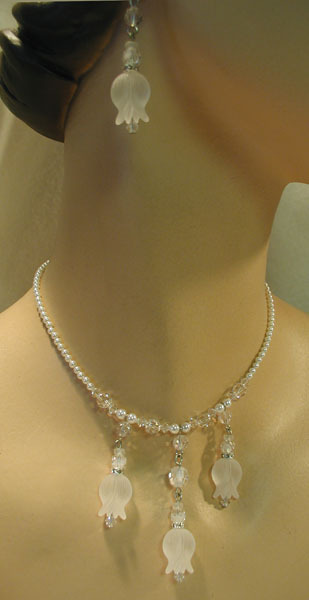 accents of Swarovski crystals & rhinestones. The bracelet measures 7 1/8". a beach or island wedding! 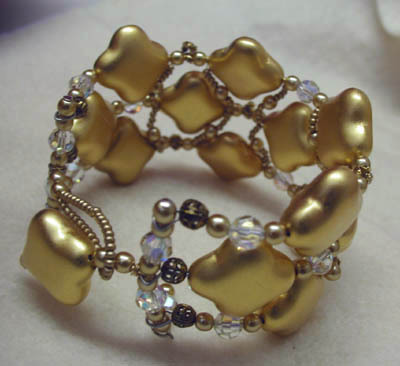 What a wonderful bracelet for a bride! that are accented with rare vintage white givre Swarovski crystals, clear Swarovski crystals, rhinestones and white Swarovski glass pearls. 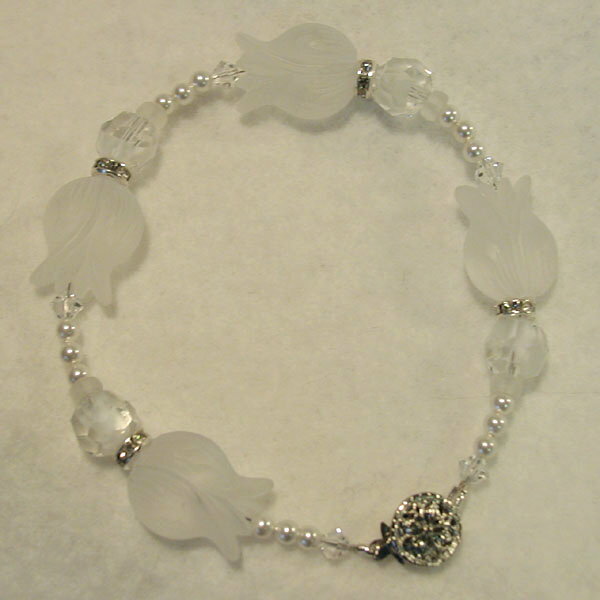 The bracelet is 7 1/2"
and the clasp is Sterling silver. 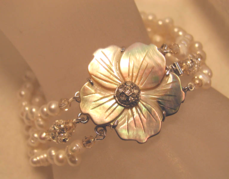 This is a truly elegant bracelet for a bride! 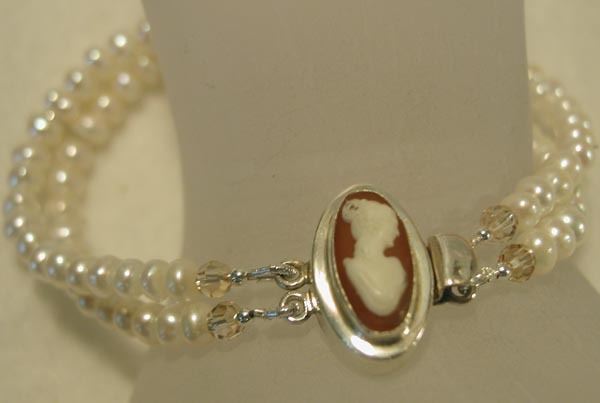 It features a beautiful 3/4" vintage carnelian-colored cameo that has been set into a substantial sterling silver box clasp. The bracelet measures 7 3/8" . 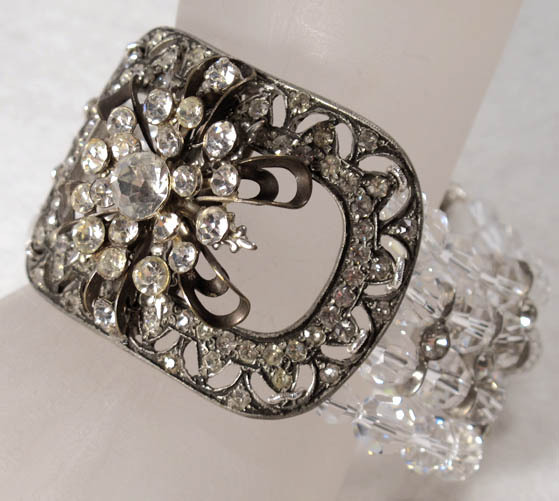 What a unique & romantic bracelet for a bride! The bracelet measures 7 1/2" . or for a member of her wedding party! a huge Siam Red Swarovski crystal. 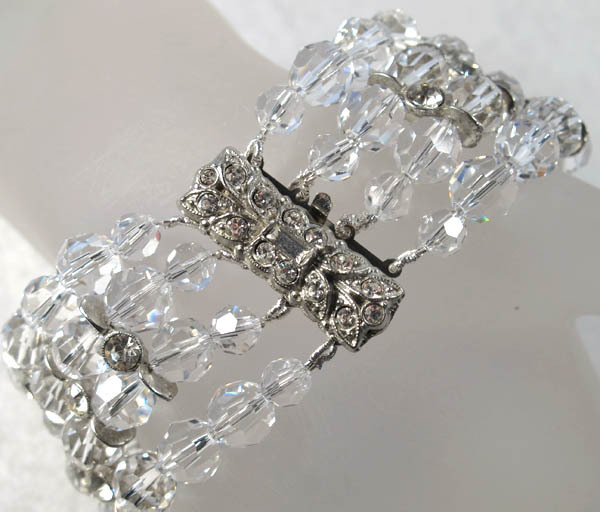 The bracelet has two strands of matching Siam Swarovski crystals and rhinestones. Siam & rhinestone Swarovski crystal cabochon. Siam Swarovski crystals and rhinestones. The bracelet measures 7 1/4" . with a matching vintage brooch. 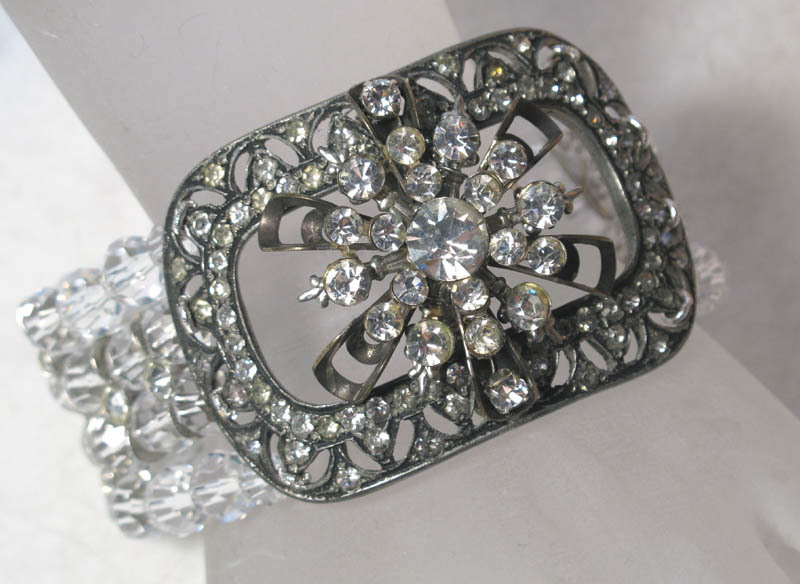 and closes with a spectacular vintage clasp. 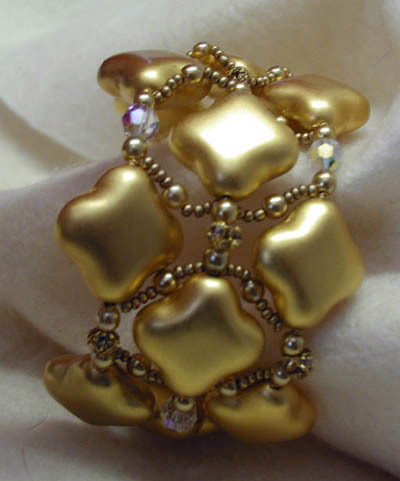 This is a truly magnificent one-of-a-kind handcrafted bridal cuff bracelet! The bracelet is 2 1/8" wide at the widest point and adjusts from 6"-7". Our model is also wearing a one-of-a-kind coordinating bridal comb. gold glass pearls, and matching rhinestones. This fabulous bracelet is actually three separate bracelets so you can choose to wear one, two or all three. When you wear all three the width is approximately 1 3/4". and lots of genuine new aventurine. 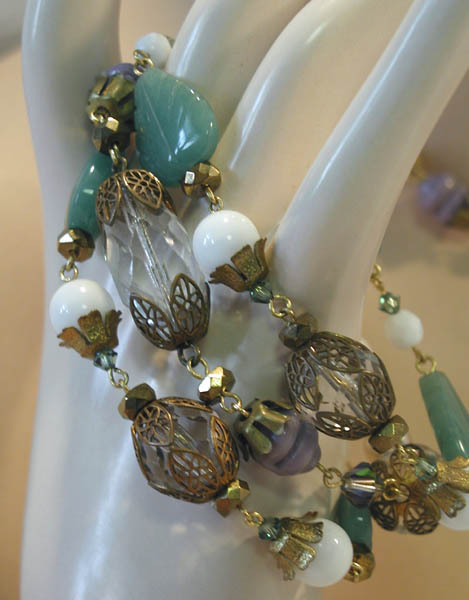 They close with matching vintage pin clasps that look like beads when closed. You can also connect all three bracelets to make a necklace! The bracelets measure 7 1/2" when closed.